Introducing our new virtual thank you notes on Tumblr. This is our way of saying thank you to customers for supporting our new online store while using an extremely active social network to feature recently sold products and possibly attract new customers. More on this project later if it bears the expected fruit. 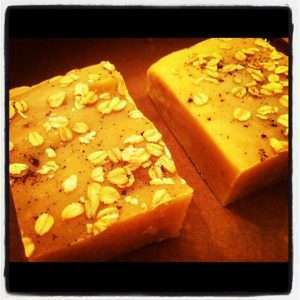 Here’s a sneak peek of our second cold process soap, Warm Oats. It was made on Dec. 14th and it will be ready for sale on Jan. 14th. Warm Oats is made with grounded oatmeal, whole oats & vanilla bean powder; scented with milk & honey and a touch of orange sherbert fragrance oils. We believe you will love this soap as the oatmeal will relieve dryness while restoring the natural moisture of your skin. We can’t wait to share this soap with you! Until Warm Oats are ready for sale, check out our first cold process soap Eucalyptus Olive Oil Soap. It’s a great bar of soap to lather up in when you feel a cold coming on or when you want to simply relax your body & senses with a therapeutic bath soap before bedtime. Hello, Bre here… I’m Tyra’s sister and my job is to manage the website. 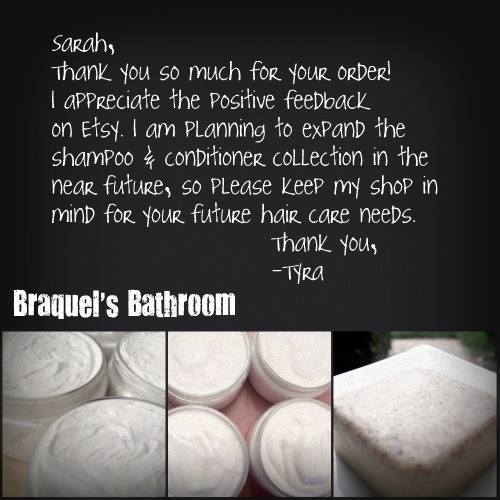 I’m also supporting Tyra with marketing products online as well as locally in and around the Baltimore area. Getting to this point has required months of planning, research, and hours of trial & error soap making on Tyra’s part. While she was in her creative element of making the next best bath & body product, I started setting up this website. I spent countless hours testing WP shopping cart plugins and theme designs to make an aesthetically pleasing website with a user friendly online store. Unfortunately, it didn’t take long to realize that my limited skillset will only get me but so far and I needed help without having to spend money to hire someone to create an online store or pay for a monthly subscription e-commerce system. As Tyra got closer to completing the product line, I needed a simple, but affordable (free) solution to manage an online store. No setup fees, no monthly fees, no listing fees, no transaction fees – Check! Upload unlimited products for free – Check! Easily customizable templates (even with my limited coding skills) – Check! Order management, stats, inventory tracking, discount codes and more – Check! Flexibility to sell products without restrictions – Check! Learning everything that Storenvy has to offer re-energized my efforts to finish setting up the website again. I am most excited about the Facebook app which imports the store’s products onto a fb fan page, then Tyra can share products with her network and possibly grow a following of potential customers. We’re also considering the custom domain feature for a small fee of $4.99 a month, but it’s not necessary until the store has consistent sales so the cost can pay for itself. In the meantime, I am satisfied with the setup we have now – linking the store from the main website. Now if I can figure out how to make the main website and store design seamless, I’d be a very happy lady. With the details of setting up a flexible online store behind us, the real work of driving people to the store to buy products is just beginning. 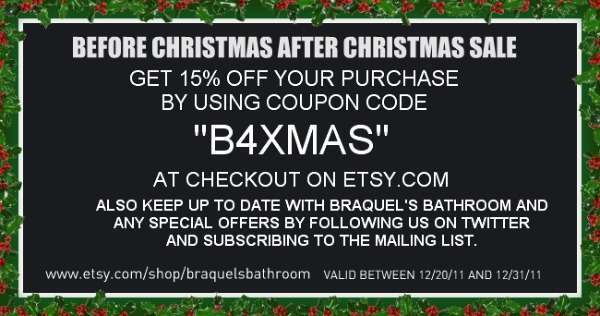 Starting Tuesday 12/20 get 15% off your purchase on Etsy.com. Olive oil – Softens skin and attracts external moisture to your skin. 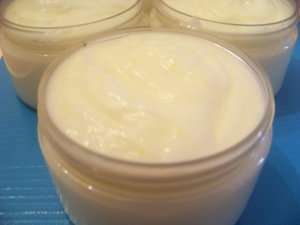 It helps keep your skin soft, supple and younger looking. Jojoba oil – Excellent emollient for skin conditions like psoriasis, because it has a chemical composition very close to the skin’s own sebum. It is suitable for all skin types and beneficial for spotty and acne conditions. Castor oil – Attracts and holds moisture in the skin. Avocado oil – Contains vitamins A, D, and E, which makes it healing as well as moisturizing. Grapeseed oil – A lightweight oil that absorbs into the skin quickly without leaving a heavy greasy feeling. Coconut oil – Great for very oily skin. Palm oil – Cleans well and is also mild. Palm oil is universal and used in many expensive luxury soaps. Sweet almond oil – A great moisturizer and helps condition the skin. Tea tree oil – Great for soothing dry and flaky skin. Vitamin E oil – Good for skin aging, dry skin, sunburns, and scars. Cocoa butter – An excellent skin softener with a natural chocolate scent. 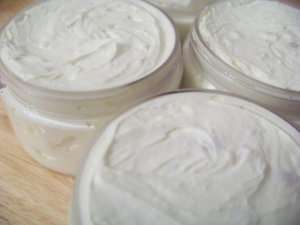 Shea butter – Great for nourishing extremely dry skin.